One of the things I’ve observed recently is that it seems like almost everything that we’re looking at is slipping to the right (being delayed) – the original estimate for the acquisition timeline including a draft RFP if there is one, an industry day or pre-solicitation conference, or even just an actual RFP. Now we know that much of this occurs because there is an insufficient number of PCOs (procuring contracting officers), as well as the people who assist them, such as contract specialists and requirement analysts. Everybody is trying to do more with less. The temptation for the government, then, is rather than issuing an RFP and going through the whole process, to just issue a task order on a simple contract because they don’t have the time to actually put out a competitive procurement or evaluate different proposals – even if there are only a few. In a time of reduced budgets, some of this is perfectly reasonable and to be expected, but I’m not sure the government realizes the impact that delays or cancellations have on federal contractors, especially small businesses. For example, PEO STRI just cancelled the Train, Educate, and CoacH (TEACH) contract. The draft RFP had been issued (with substantial delay), and people had been working on it for two years, ever since it had been rumored to be started. A conservative estimate is that the amount of actual cash lost by potential primes and subs is literally more than $250 million across the industry. Someone we know specifically, who was acting as a consultant to one of the potential primes, lost $150,000 in consulting revenue. Some companies have internal resources, but small companies will typically bet on a job like this, and put a ton of money into it to hire consultants for things like pricing, competitive analysis, and relationship management. How can small businesses hold staff people as contingent hires, when a procurement process is delayed for months? Of course people have to go and find new jobs; they can’t wait for us or the government. And the government won’t wait for us to re-staff when the job does start! 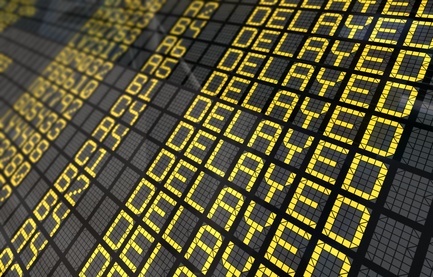 So be prepared for lengthy delays in the award of contracts. And in the meantime, let’s find a way to help the government understand these implications. I’m sympathetic to the government’s situation of having to do more with less, but I’d rather have them be clear, honest and specific upfront with the actual timeline, so I can know and plan for that, rather than get an optimistic timeline they can’t deliver.